Our premium spring water is the smart choice if you love the taste and convenience of bottled water but also want to reduce your environmental impact. 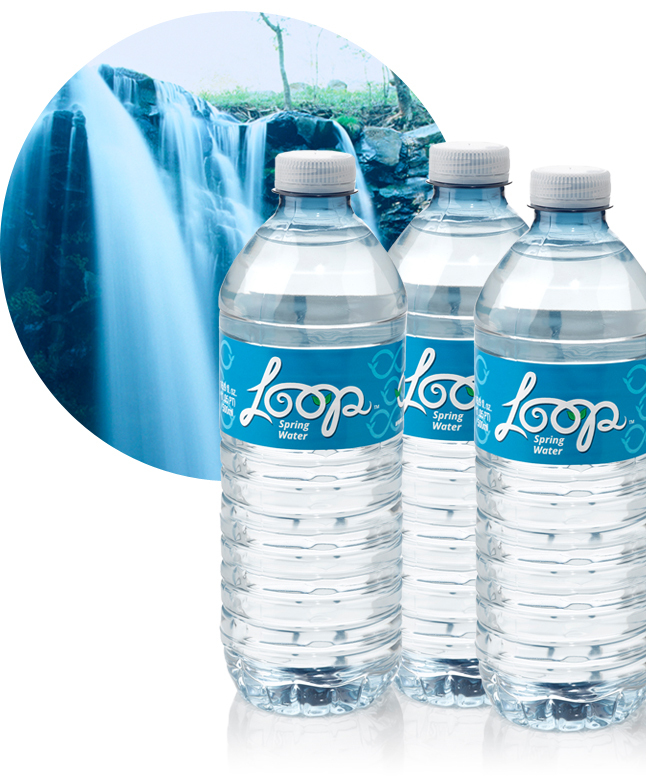 Loop water comes from the heart of local spring country in the Pennsylvania Appalachians. Its clean, crisp, refreshing taste leaves you feeling rejuvenated. Our goal is to continue the lifecycle of plastics from bottle to recycled bottle to recycled bottle. Enjoy and please remember to recycle! Our bottles are made with 100% recycled plastic and are able to be recycled again and again. Drinking Loop Water creates a LOOP of use and reuse. 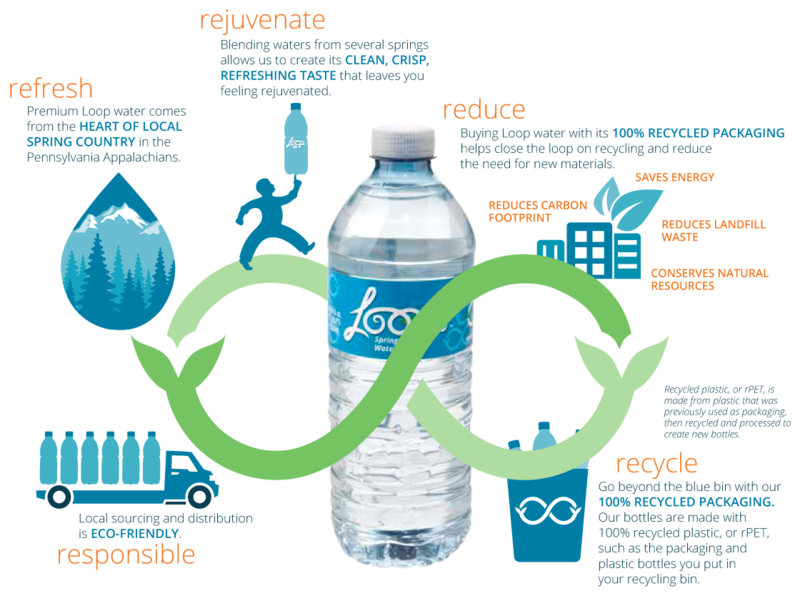 Buy our bottled water made of 100% recycled material. Recycle these bottles. Repeat. Feel good and go beyond the blue bin with our 100% recycled packaging.